Stabilizes the outer capsular ligaments of the upper ankle. 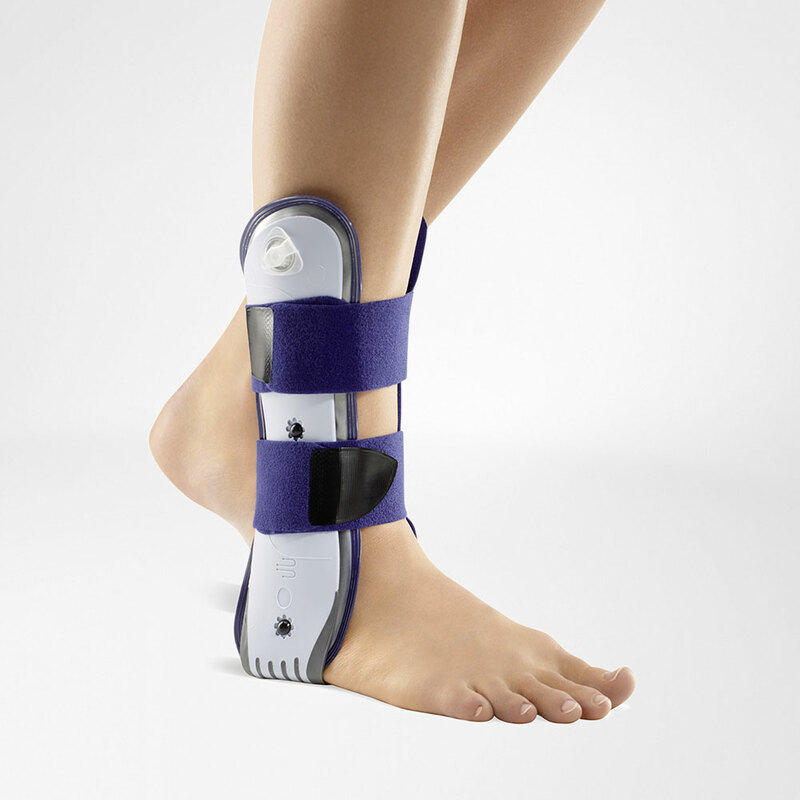 The AirLoc stabilizing orthosis stabilizes the outer capsular ligaments of the upper ankle. It thus counteracts ankle twisting. AirLoc® consists of anatomically contoured, elastic plastic shells with an integral air bladder system. The inflatable cushions exert an intermittent compression massage on the tissue around the ankle and guarantee maximum wearing com-fort.Four individually adjustable Velcro fastenings make it easy to put on and take off. The orthosis can be adapted to the shape and degree of swelling of the affected foot, provides reliable support with every step and is attractive and breathable. Indications: Acute capsular ligament injuries of the ankle, Chronic instability, Postoperative rehabilitation, Relapse prevention.